With the GSR Scan test we can effectively determine which natural remedies will work best for your condition and offer after care through an internet connection and password, when you return home or enroll in our Home Care program. The GSR SCAN will help determine the true cause of your health problems and at the same time recommend remedies that your body ‘personally’ needs to heal itself. The GSR Hand Cradle connects to your computer by Internet for future bio-communication tests by a trained therapist. Apparently, everyone has their own personal finger print and eye ‘print’ that is unique to them and in fact each one of us has a unique ‘energy signature’ in the universe, there is no one else exactly like you. When you place the palm of your hand (right or left) on the GSR Hand Cradle the high-tech system will pick up not only the pathological indications but also your personal energy field. Our GSR equipment and trained therapist will verify all aspects of your health such as the major organs (i.e. heart, lungs, liver, brain gallbladder, etc. ), the backbone, teeth, tendons, hormones, muscles, parasites, viruses, harmful bacteria, Candida, food intolerances, allergies, infections as well as your emotional state of health which could be a major contributing cause to illnesses. Many who have been struggling for years are now finding relief from: Arthritis, Heart Infarction, Irregular Heart Beat, Psoriasis, Eczema (other skin diseases), Immune Deficiency Syndromes (Multiple Sclerosis and other Auto Immune Diseases), Diabetes, Lungs (respiratory conditions), Stomach Ulcers, Liver, Prostate, Strokes, Brain Tumors, Brain (strengthens activity), Arteriosclerosis, Lyme and other chronic diseases. The GSR Hand Cradle will be sent to your home along with full instructions and a password that enables you to connect via the Internet to a trained therapist who will perform a ‘live’ test on your entire body at a time convenient to you in your home or place of work. After the test, you will also receive a selection of different natural herbal remedies and food supplements sent directly to your home or work place along with all the instructions. Both the GSR and the VEGA Test allow us to determine which factors are contributing to illness in each particular case. They also give insight into which areas need the most treatment or support. Another important advantage of these scanning systems is that they can help to select the most effective treatment for each patient from a wide range of natural remedies. 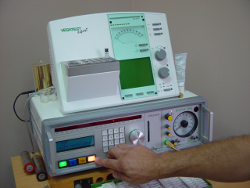 Like GSR, the VEGA test also works on the basis of Electroacupuncture according to Dr Reinhold Voll (EAV). It is a diagnostic method based on bioimpedance. By measuring the body’s reaction to various types of stimuli, the VEGA Test identifies local inflammation points, strained organs or interference fields linked to dental problems, recognizes interdependencies between organs and analyses the influence of viruses, bacteria or toxins. 1. 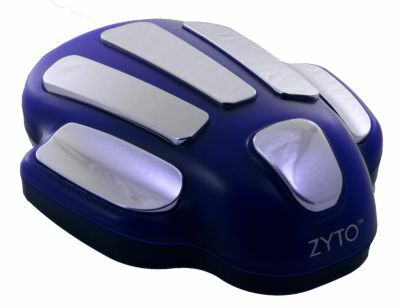 If you have enrolled in Home Program B or C or any of our Clinical programs, the GSR (Zyto Hand Cradle) will automatically be shipped to you. Once it arrives please contact Manuel at: info@BudwigCenter.com to arrange for the test to be done over the internet. (Please note the Zyto Handle Cradle is not compatible with MacOS or OSX. If you do not have a Windows operating system, simply arrange with someone that does. Manuel will then contact you with the possible dates for your personalised scan). 2. Robin, who does the live GSR tests, will be phoning you on that day and time to do the test and explain how to connect to the Internet. WARNING: Please do not stop taking prescription medicine.